Allen Elishewitz handcrafted custom knives never disappoint, and this Silver Fox Flipper is superb. 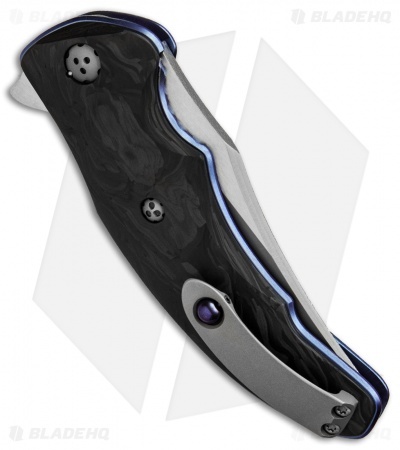 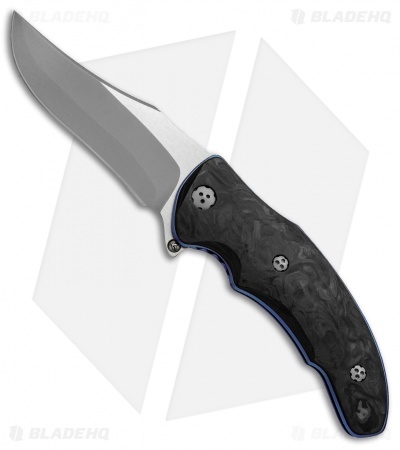 The handle features black pearl carbon fiber scales set atop blue anodized titanium liners and titanium stand offs. 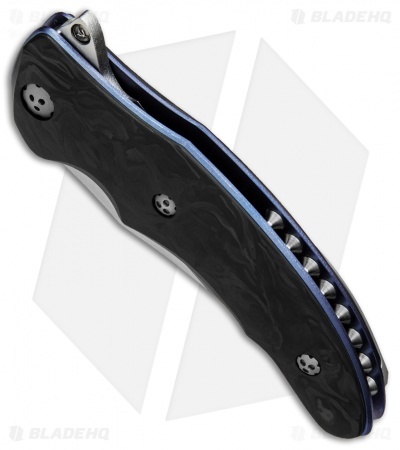 It is outfitted with a milled titanium Begg-inspired ball-bearing clip. The hollow ground clip point blade is layered 154CM steel with a CPM-S90V core.